Manchester United midfielder Paul Pogba has thanked Jose Mourinho for helping him "improve as a person" despite the breakdown of their relationship in the last few months leading up to the former manager's sacking on Tuesday. Mourinho, who replaced Dutchman Louis van Gaal in 2016, won the Europa League and League Cup in his first campaign but his third season was dominated by media reports of a rift with Pogba while United laboured on the pitch playing dull soccer. 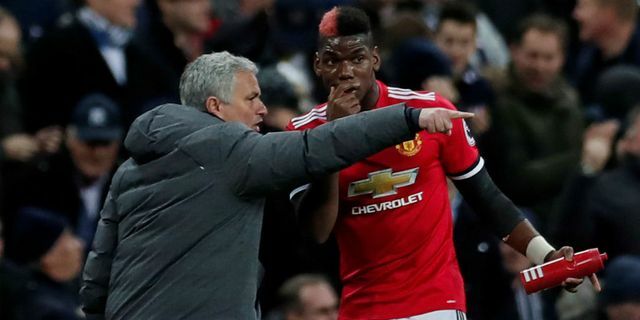 Pogba was stripped of vice-captaincy earlier this season and dropped for the final three league games of Mourinho's tenure, but the France international said that he had no hard feelings towards the Portuguese. Manchester United confirmed that Ole Gunnar Solskjaer has been appointed as the club’s manager on a three-year deal.